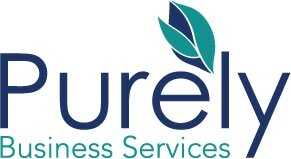 ​PurelyHR helps SME’s, New Business Start-ups and Blue Chip Corporations with bespoke and tailor made HR Support & solutions. We understand that HR needs to be supporting, and engaging, whilst ensuring we understand your business needs. From the moment you need to hire someone, right the way through to an employee leaving the organisation we can help, support and advise. By coaching your Managers we can make sure that they’re able to support your best asset, your employees. PurelyHR offers a suite of packages that enables you to have guaranteed HR assistance for a fixed monthly retainer. ​As well as our HR support, we can offer SME’s and start-ups a business coaching service. Business efficiency is crucial to business success, but what is often underestimated is the importance of business owner efficiency, and having a founder who can demonstrate consistency and speed in things like planning, time management and decision making from day one. However, when you are caught up in the often chaotic early days of setting up and growing a new business, thinking and acting efficiently may be easier said than done. This is why many business owners engage the services of a business coach. In order to get maximum business efficiency from the coaching sessions, it is important to have someone who listens and asks awkward questions.